Locks, new office block, and 60 mysterious stones. How many times I’ve been to London I lost track of long ago. How many miles I’ve walked in parks, along river banks and down side streets I couldn’t even give a ball-park figure for. But a stroll along London’s Industrial Revolution-era canals – no, that was a first. I really recommend checking out this somewhat lesser well-known side to the UK’s capital. 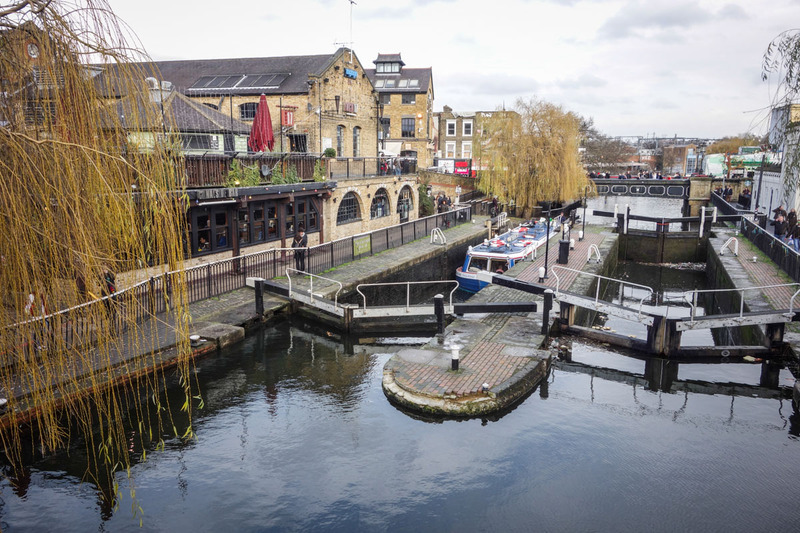 It’s a network of mini-canals, which connected London with the rest of the country so Industrial Revolution-era raw materials and goods could be ferried about. 2013 – hardly unlucky for us… 2014 – up all year to get lucky. As per tradition, the festive season for KL kicked off with our Christmas/New Year shindig – this year on the already decidedly tipsy December 20. 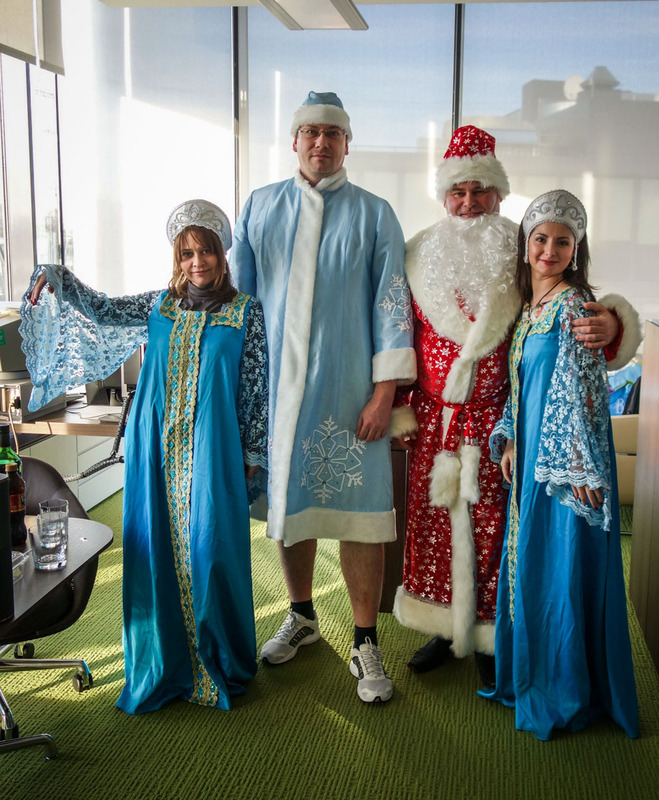 The following week another tradition was duly observed – the annual tour of every room in the office by Santa (me) and his little helpers, which this year also took in some of our neighbors‘ offices, to personally wish everyone personally a merry Christmas and a happy upcoming New Year. + two snow queens + one snow queen Read on: 2013 – hardly unlucky for us… 2014 – up all year to get lucky. Time to move on. Just like a Christmas tree on the Thames. Well here I am, back in a frosty London – one of my fave capitals. 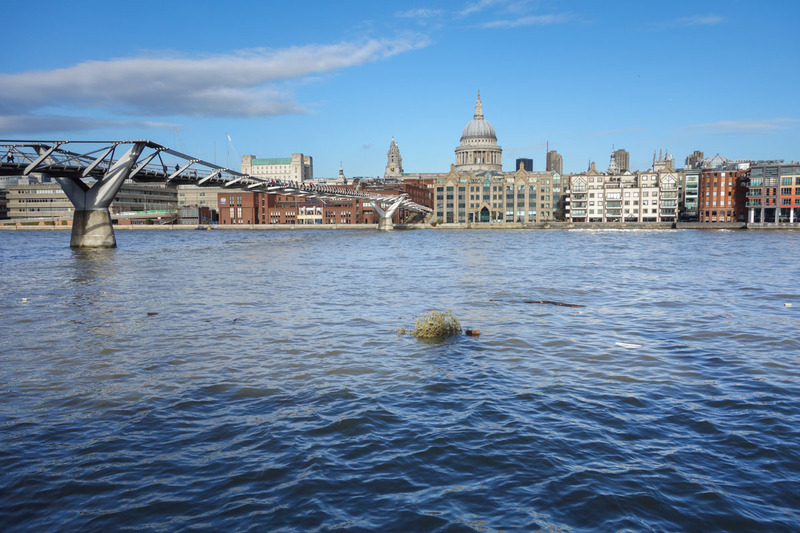 One of the first things I saw here was a Christmas tree bobbing down the river Thames! I think it was a sign… a reminder that the festive period is o v e r, period! Enough already! Back to work! Read on: Time to move on. Just like a Christmas tree on the Thames.